Even as a mom, Cindy Crawford used Reading Kingdom for her children. 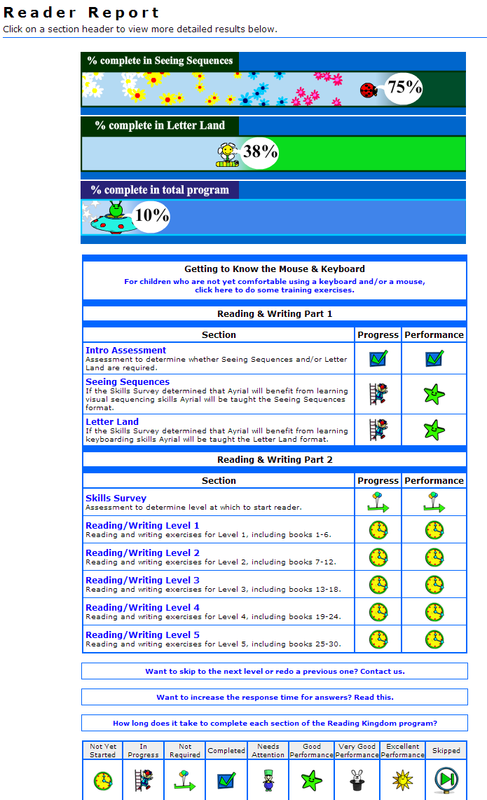 This is an online program that teaches children from 4-10 to read and write up to a third grade level. The site also sends out weekly email updates on how well your children are doing and their progress. This helps you to evaluate what they are needing help with, what they are mastering, and many other things. Below is a current image of my daughters progress. This is sent in an email and is also in the parent’s part of the site when you log in. As you can tell it even shows the progress of sequences. My little girl has only been doing this for about two to three weeks now. I highly recommend this for her as she has had past issues with learning until we decided to find online help for her. At first it was ABCmouse and now it’s Reading Kingdom and her brother will use it in a few years as well. He’s a little bit to small and young to use it just yet.